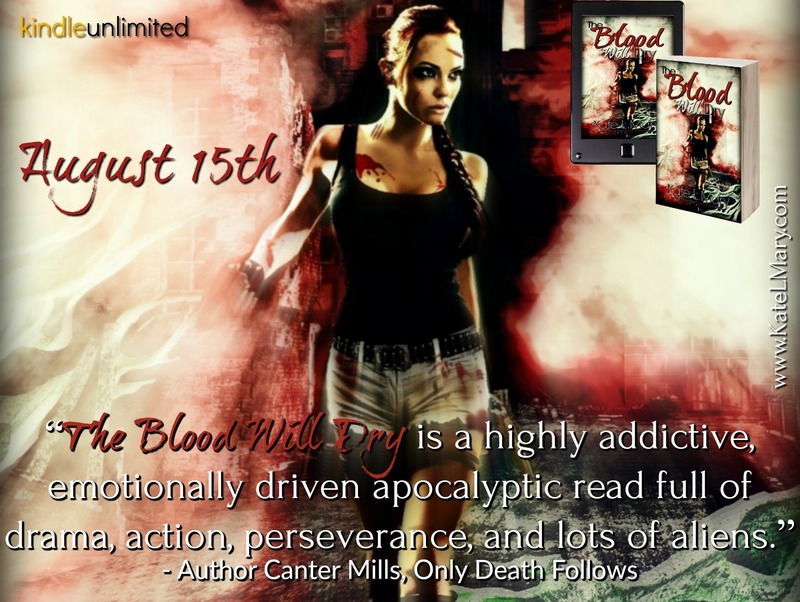 THE BLOOD WILL DRY by Kate L. Mary is LIVE! Five years after an alien invasion, the earth is unrecognizable. The human race has been decimated and the sun completely blotted out by dark clouds that bring constant rain. All indigenous plant life has been killed off and replaced by vegetation that has proven to be as deadly as it is invasive, and the aliens that have taken over the planet are seemingly invincible. Living in a crowded building with other survivors, Diana Foster wants nothing more than to forget what she lost the day the aliens arrived. But an incoming platoon brings a familiar face, one that not only opens old wounds, but also forces her to deal with the painful memories she's worked hard to forget. Bryan may not be the same cocky kid he was before the invasion, but his sudden appearance still turns Diana's world upside down in ways she never expected. When he showed up she knew it would mean finally facing her past, but she never thought she’d find a future that was actually worth living. 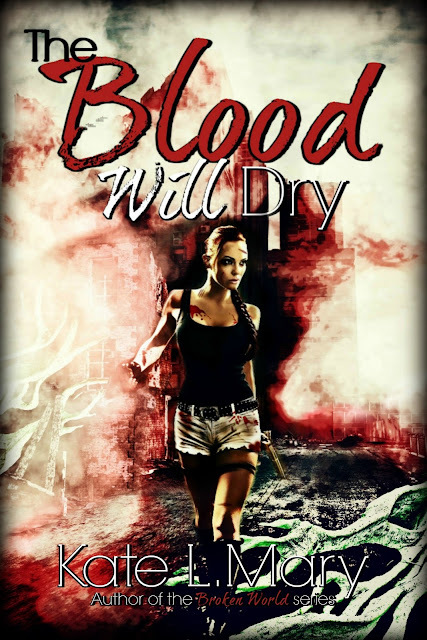 After years of struggling to find a weakness in the aliens' defenses, Diana stumbles upon a solution just as a new and more deadly threat surfaces. Faced with an attraction she never expected and a battle that most believe can't be won, Diana must work through her painful past as the survivors mount a battle that may determine the fate of mankind. If her plan fails it very well could be the end of humanity, but if works it will mean having a real future, and a chance to allow the blood to dry once and for all. 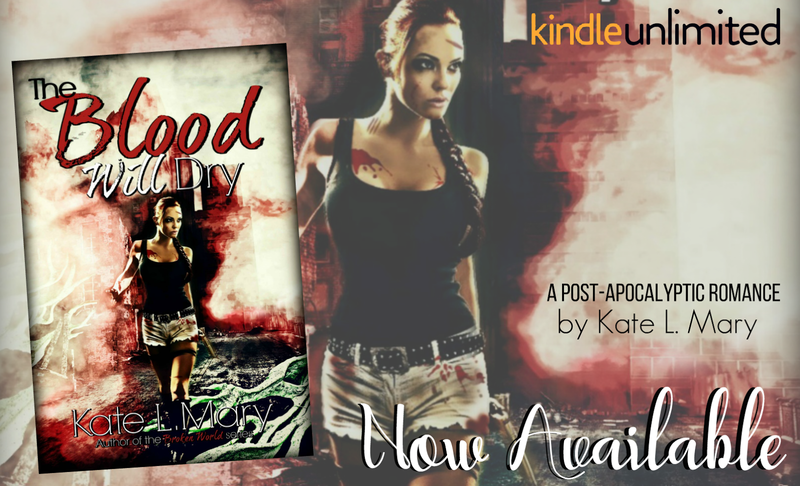 Kate L. Mary is an award-winning author of New Adult and Young Adult fiction, ranging from Post-apocalyptic tales of the undead, to Speculative Fiction and Contemporary Romance. Her YA book, When We Were Human, was the 2015 Children's Moonbeam Book Awards Silver Medal Winner for Young Adult Fantasy/Sci-Fi Fiction, and the 2016 Readers' Favorite Gold Medal Winner for Young Adult Science Fiction. Fans of The Walking Dead won't want to miss out on her Amazon Bestselling Broken World series, and the spin-off series, Twisted World.